Consider this an open invitation. 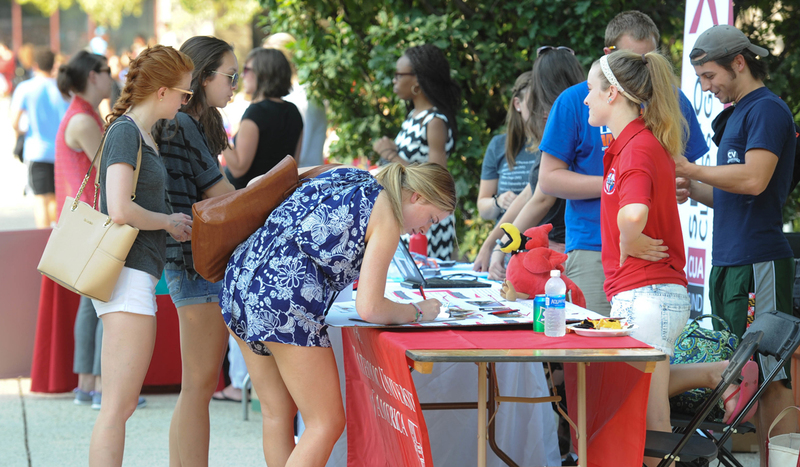 Check out the 90-plus student clubs and organizations on campus, and get involved. Whether you're a first-year undergraduate or a seasoned doctoral student, you can find people who share your interests, your values, your goals, and who enjoy the things you enjoy. Students in the School of Arts and Sciences will find student organizations related to their fields of study, including clubs focused on biology, chemistry, history, literature, medieval studies, psychology, classics, politics, journalism, Arabic, Chinese, Irish culture, French, German, Italian, and Spanish. There are numerous faith-based organizations in addition to the many opportunities for involvement and service offered through Campus Ministry. Student organizations focused on cultural identity include the Arabic Club, Black Student Alliance, Chinese Students and Scholars Association, Student Organization of Latinos, Filipino Organization of Catholic University Students, and the Saudi Student Association. With more than 90 different clubs and student organizations, Catholic University has made it nearly impossible not to find one that fits your interests. You also have the freedom to start new ones.